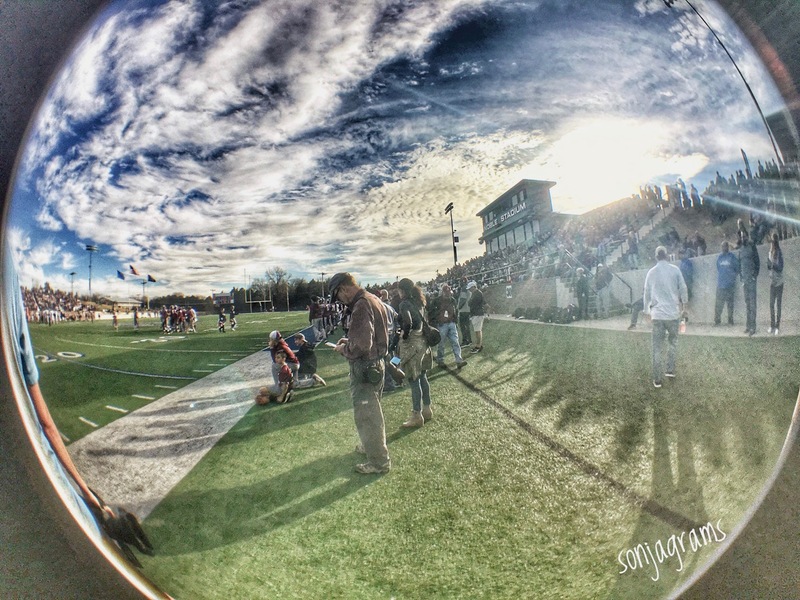 My long-time friend Sonja Anderson sent me this image of me on that beautiful November day when the Ada Cougars football team took on Bethany in Noble. I’ve known Sonja Anderson since she played basketball at Latta in the 1990s. 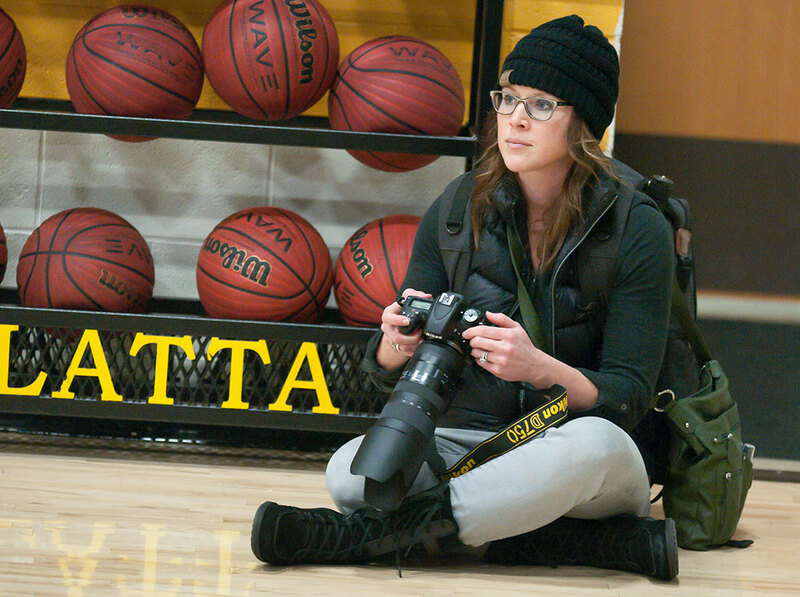 I saw her last night covering a Latta game and made this image of her. In late 2009, while working as a mammogram technologist, she discovered her own breast cancer. Her treatments were difficult, but as you can see, she is fine, and is always a welcome sight. I’ve never had cancer of any kind, and I honestly can’t imagine how stressful it must have been for her. We all know about stress. It is the body’s and the mind’s reaction to difficulty around us. Often, when I think I am stressed, I try to imagine what it must have been like during the Black Plague, or to be on a chopper about to hit the DZ in the Ia Drang Valley, or trying to take care of your family during the Turnip Winter. So what if my deductible hasn’t been met yet when I see the dentist; at least I wasn’t just loaded onto a cattle car headed for Poland. I believe our population is under stress at the moment for a lot of reasons. Our head of state is a dangerous idiot. Our intellectual and spiritual health is unbalanced. Our planet is being poisoned. 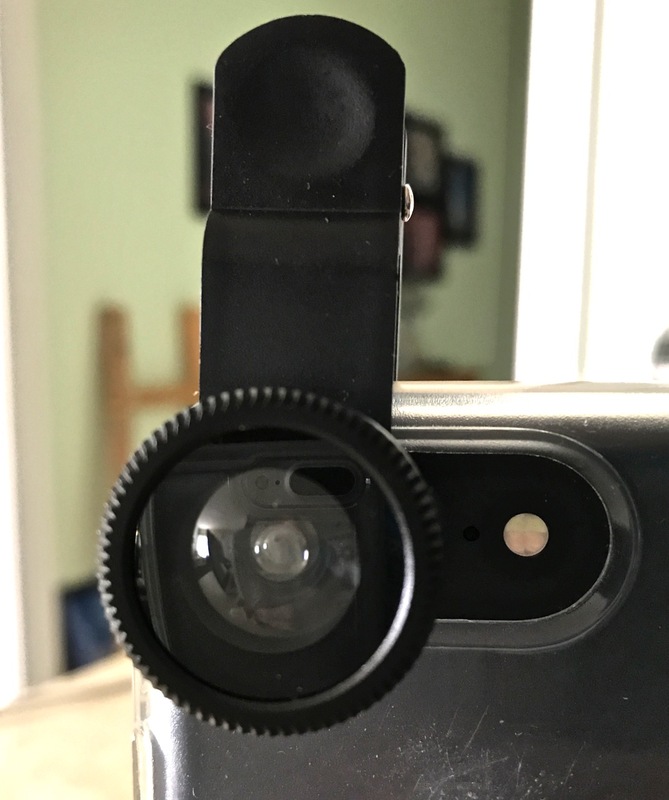 After seeing my friend Sonya with one, I decided to get this little photographed doodad, a clip-on fisheye lens for my phone. Its optical performance is sub-par, but the fun factor is off the charts. The Los Angeles Times was just sold to a billionaire, heralded initially as a move forward and out from under an unpleasant relationship to present owner Tronc. Anyway, I am sick. I often go years without using a sick day, and suddenly I took two last week, and am home again today. I have an upper respiratory tract infection without fever, so I’m thinking rhinovirus. I probably could have worked in the office today, but everyone seems to be getting sick over and over, so staying home might break that cycle. Another stressor for me last night was a poorly-forecast ice storm. The weather called for “icy in spots,” but by the time I was done shooting basketball at Latta, it was insanely slick, so much so that I even had some difficulty walking to my car. The scanner was loaded with “subject slid off the road” traffic, and on at least one occasion during my drive home, the wind blew my car sideways on the ice. Every brake check was met with anti-lock brake chatter. My normally 10 minute drive took almost 40, and I never broke 30mph. 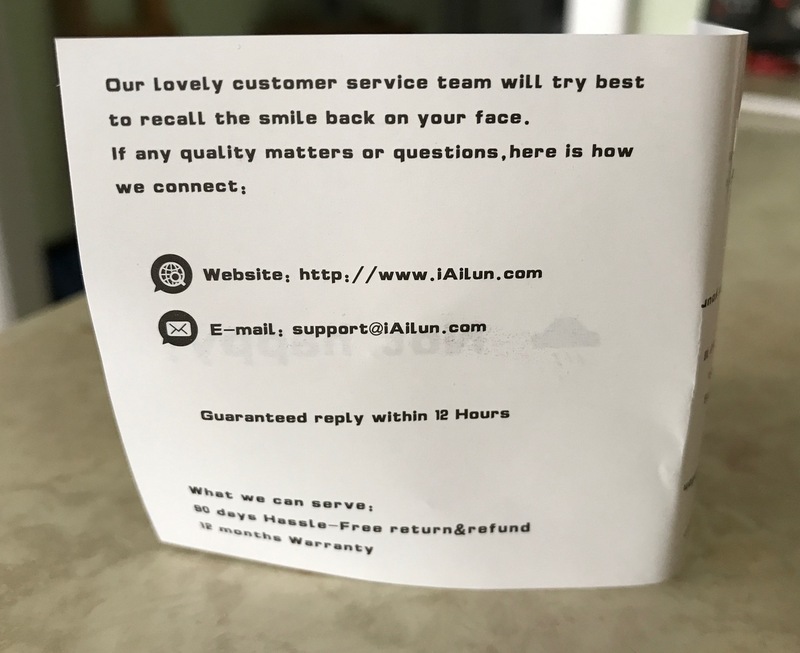 English sentences penned by non-English-speaking people are often amusing. A little laugh is a good way to take the edge off stress. 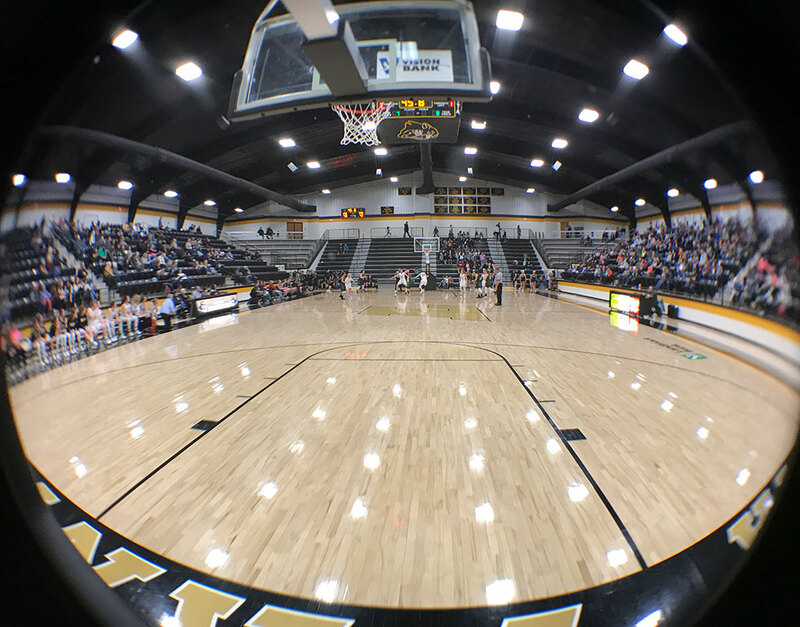 This is a fine view of the inside of Latta Panther Field House made with a fisheye clip-on lens for my phone. I’m going to use “Turnip Winter” at my earliest opportunity.